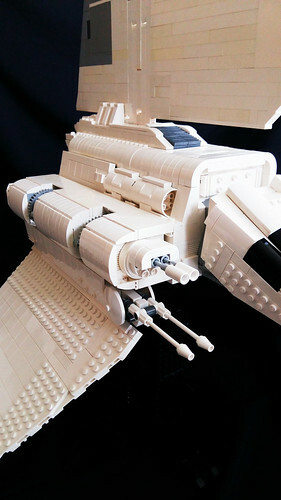 Thats a very nice rendition of the shuttle! 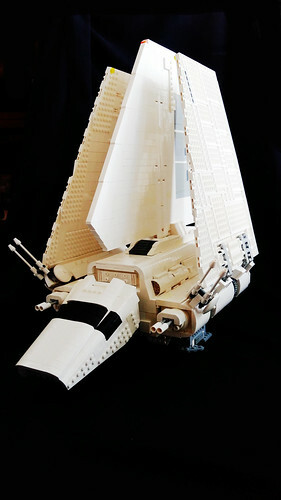 The cockpit is very accurate to the movie, better then the official Lego model. Thanks! 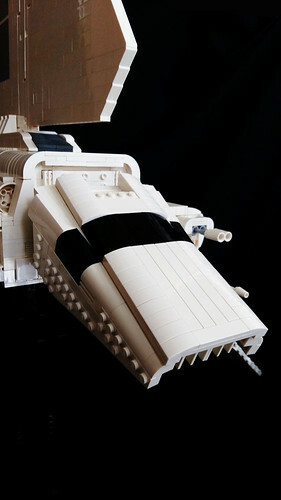 It took me a while to figure out how to do the sides, I ended up using a combination of hinges and Mixels joints. 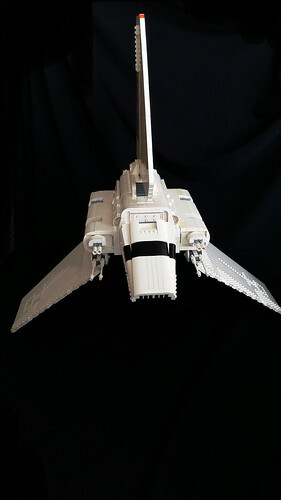 That is a good looking shuttle - great cockpit! 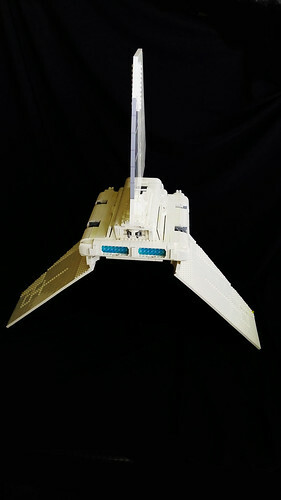 How are the wing operated? 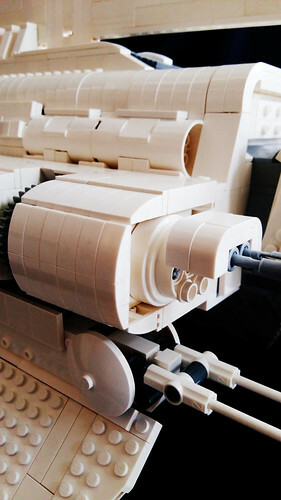 The official model works ok, but the wings are very heavy for the small gears. Any idea what the brick-count is? 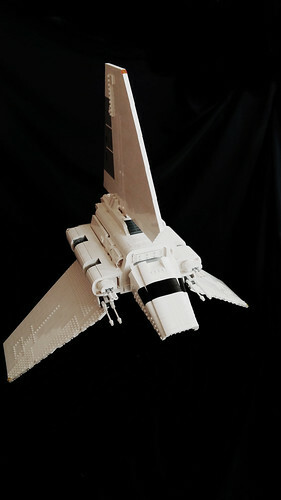 What a great shuttle MOC. I as other too like that cockpit. You have nailed the shaping of it. 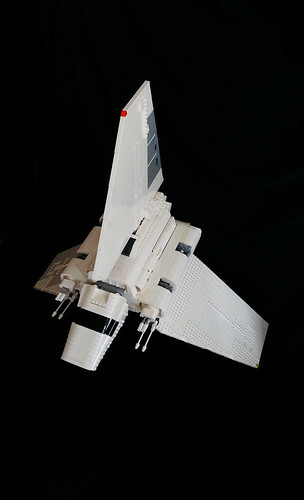 I think I would prefer fewer studs on the wings to better match the sleekness of the nose and the top wing, but all in all ace job! I attempted to motorize the wings by attaching a geared-down M-motor to it but there was too much strain so I ended up using a crank-driven wing. As for piece count, I'm not too sure. 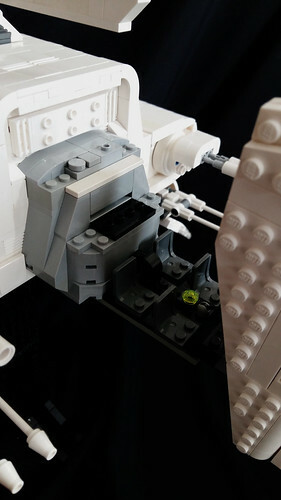 The official UCS set has a count of 2503, including minifigs. 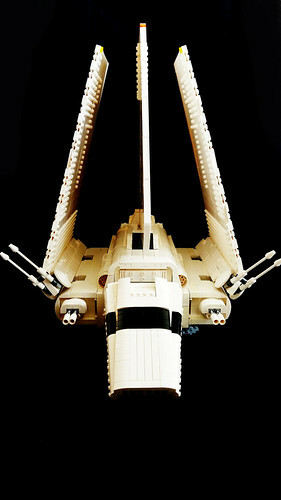 But judging from the enormous amount of different slopes used and the complexity of the cockpit design, I'll put the piece count to 2900.